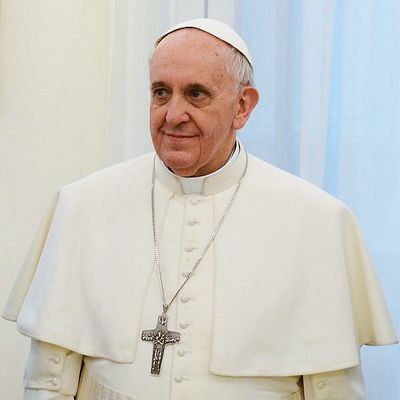 On the 13th of March 2013, Jorge Mario Bergoglio (1936-) became Pope Francis I, and thus began his reign as the Bishop of Rome and head of the Roman Catholic Church - a man known, like the Saint whose name he takes for his humility and his wish to help the poor and afflicted of all faiths. His election as the ‘Servant of the Servants of God’ marked a number of firsts for the Papacy - the First Pope to be named Francis (after Saint Francis of Assisi), the first from the Americas, the first from the Southern Hemisphere, but most important of all the First Jesuit - the ‘Soldiers of God’ who for the past five centuries have been responsible for the teaching of Science and its relationship to the Kingdom of God, both on Earth and in Heaven, but strictly according to the accepted doctrines of the Church they served. In these words the Italian astronomer Galileo Galilei (1564-1642) had recanted his belief that the Earth revolved around the Sun, and avowed now that the Earth was indeed the centre of the Kingdom of Heaven. It was the year 1633 and nothing could move the Catholic Church away from the view that God’s Universe was perfect and without flaws. The Earth did not move; there were no spots on the surface of the Sun or craters on the Moon; and almost certainly no dark lines could be seen emanating from the stars. Galileo renouncing what he knew to be true in his heart, was exiled to his villa at Arcetri near Florence in 1634, where he spent the remainder of his life under house arrest. In 1818 there was born a man who in later life would see all of these things, including the dark lines in the spectral rainbows of the stars. What is remarkable is that his name was Father Pietro Angelo Secchi, a Jesuit Priest; and a firm believer in both his church, and a heaven based on science, not on what his religion wanted it to be. 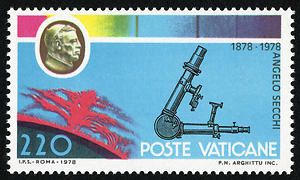 In 1877 Secchi published the results of his great study of 4000 fixed stars, in which he argued that all stars could be classified according their chemical nature as exhibited by the various dark lines found in the ‘rainbow’ of their spectra. Furthermore this classification could be achieved by using only five spectral types. These later became known as ‘Secchi Classes’. The pioneering work of Secchi in the Spectral Classification of Stars, ultimately led to the Harvard Observatory’s Classification as developed by Williamina Fleming, Antonia Maury and Annie Jump Cannon in the 1890s and early 1900s. 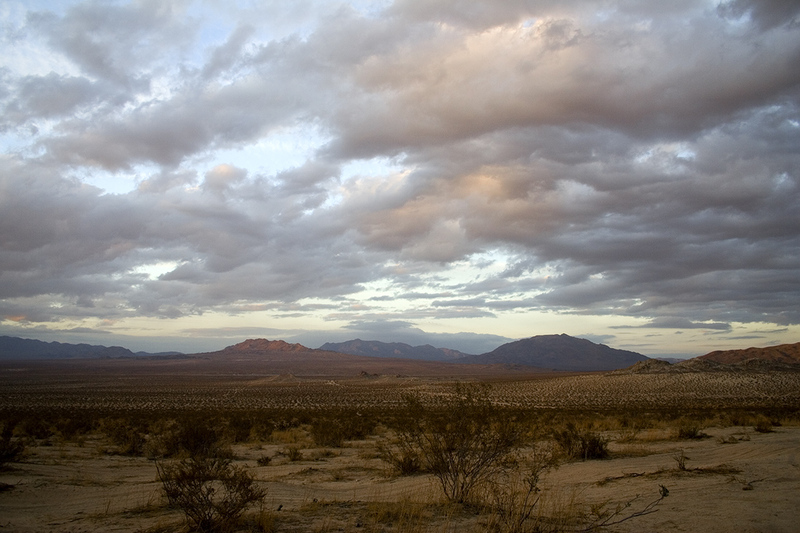 This in turn formed the basis of the currently accepted Morgan-Keenan system. The accurate classification of stars according to the characteristics of their spectra was the start needed by others to begin the process of understanding their structure and evolution, from the moment of their birth among vast clouds of gas and dust, to an end which produces white dwarfs, neutron stars and black holes - bodies as strange as they are unbelievable. 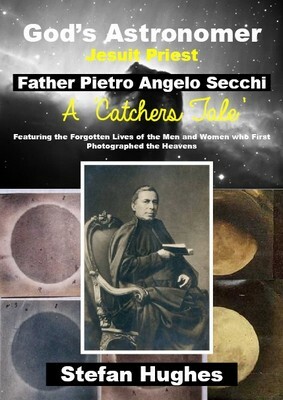 Father Secchi lived a contented life within the embrace of his venerated Catholic Church and his beloved Pope, but at the same time conducting astronomical research into the very nature of a ‘flawed’ universe. Yet two centuries earlier this very same research would have condemned him to exile or even death. How could this be? 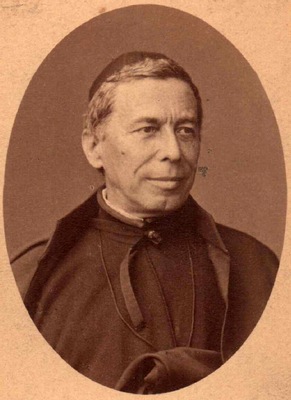 How did Pietro Angelo Secchi on his death in 1878 enter the ‘Kingdom of Heaven’ with the full blessing of the Holy Catholic Church, as both Jesuit and Astronomer?